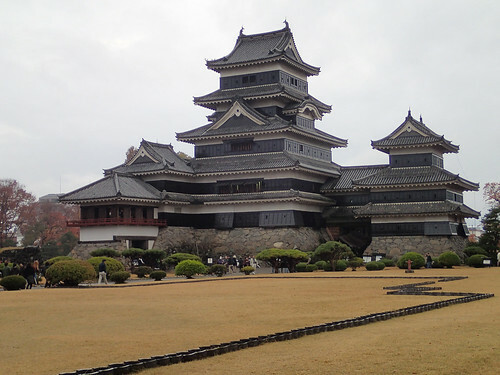 Matsumoto was on our Japanese itinerary because it’s home to Japan’s oldest and most authentic National Treasure castle, compared to most Japanese historic castles which are not authentic at all. “Interesting features of the castle include steep wooden stairs, openings to drop stones onto invaders, openings for archers, as well as an observation deck at the top, sixth floor of the main keep with nice views over the surrounding city”. 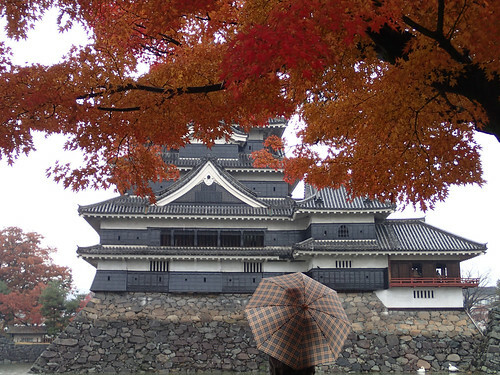 You can learn more about Matsumoto Castle’s history and National Treasure status at the official website. 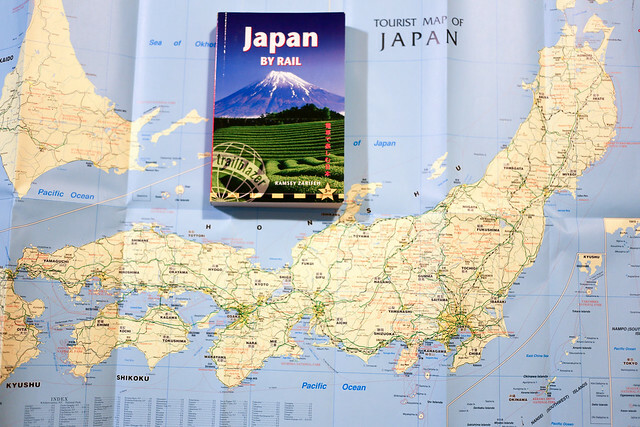 We travelled to Matsumoto from Nikko on a series of JR trains which took 236 minutes. First we travelled back to Utsunomiya on a local Nikko line train. 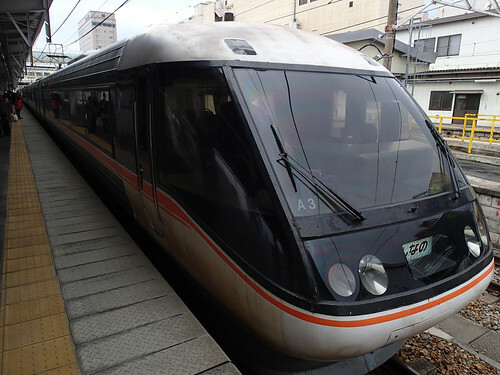 Then we caught a fast Nasuno 270 train to Omiya, where we changed to go to Nagano on a Kagayaki 509 train. At Nagano we got on a Shinano (Wide View) Limited Express Shinkansen Bullet train, whose large windows allowed us to see the landscape we were zooming past on the way to Matsumoto. From Matsumoto we walked 5 minutes to check-in at the Richmond Hotel Matsumoto which was quite inexpensive. 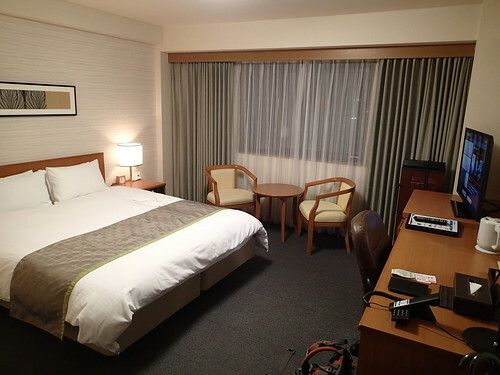 Our room was quite large and the front desk service was excellent, lending us umbrellas as it was raining. Another handy feature at the hotel was the coin operated washing machines and dryers, which we needed as we were mid trip and had plenty of clothes to wash.
After checking in to the hotel we walked about 15 minutes to Matsumoto Castle and joined the queue to enter. While in the queue we were approached by a friendly local volunteer who said that because we were “honoured foreign visitors” he would give us a free guided tour of the castle. We were very lucky this happened because the castle didn’t have English information inside. The views from inside the castle were great. 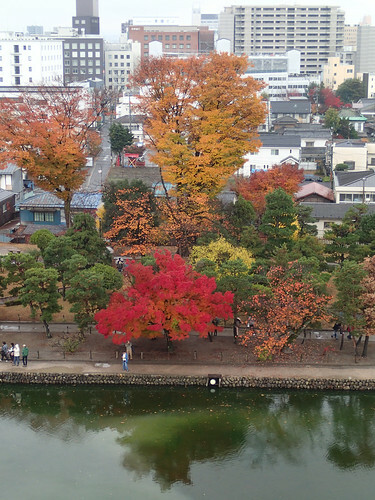 There was a tree near the castle which had especially good red Koyo autumn leaf colouration. 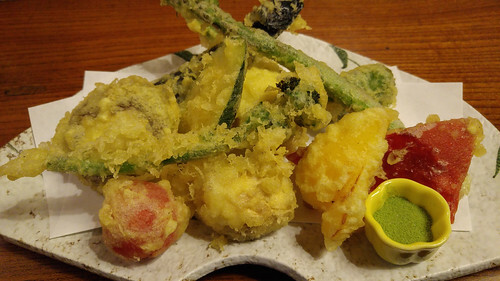 Afterwards it was dinner time. 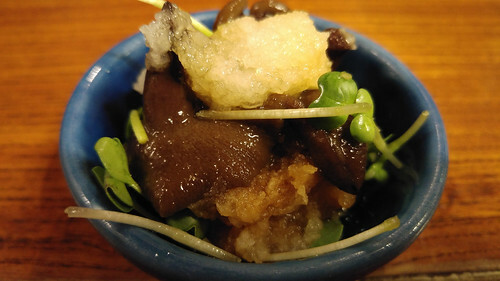 Happy Cow didn’t have any suggestions we liked so we went to Kobayashi-Soba, the most highly rated place to eat in all of Matsumoto. 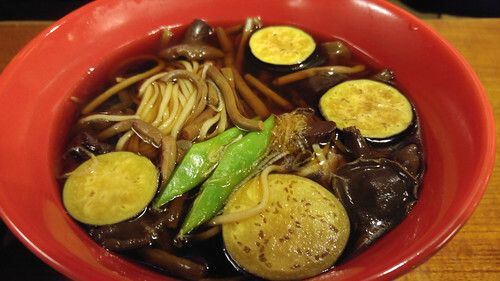 We really enjoyed the excellent Soba noodles and other vegetarian Japanese food at this authentic local restaurant which is over 100 years old. As a side note, while visiting Japan make sure you keep an eye out for the manhole covers on suburban streets. 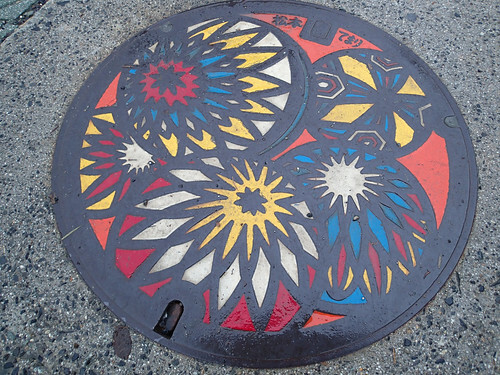 That probably sounds like a strange thing to look out for but I have a good reason, most Japanese towns and cities have colourful artwork on their manhole covers. What a great idea!